Blend all ingredients. 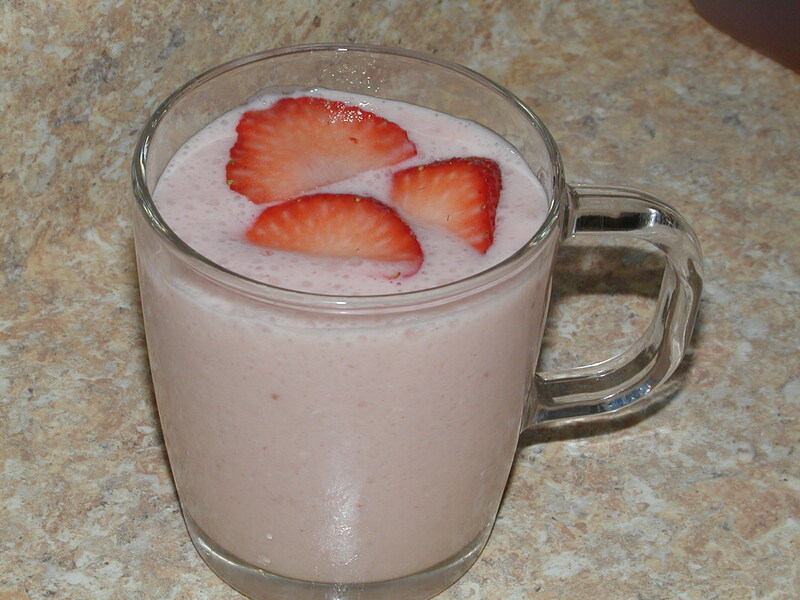 Top with strawberry slices (optional). Enjoy!